Endodontics are the field of dentistry that deal with the interior and root of your tooth. 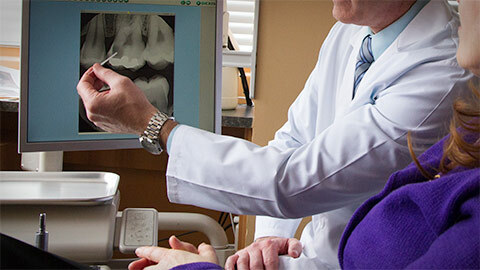 The best known endodontic service is the root canal. It’s the buzz word for scary dentist operations, but it is absolutely nothing to be afraid of and it can save a tooth. The root canal is actually the space in which your tooth connects with your mouth. When this area becomes infected in can lead to pain and the loss of the tooth. We can go into the area, remove the infected or decayed tissue and fill the resulting gap. It’s virtually painless. If you need more information about Endodontics in Dieppe, contact us today.